China Clean Expo (CCE, official full name is Expo Clean for Commercial Properties and Hotels), solely organised by UBM Sinoexpo (UBM Sinoexpo is a JV by UBM and Sinoexpo who organizes 60 international exhibitions with a total exhibition area of 1,350,000 sqm across China every year), will celebrate its 20th edition, 25-27 April 2019 at Shanghai New International Expo Center (SNIEC). The Expo will serve up a feast of opportunities with manufacturers and suppliers presenting products and services from around the world. Trade buyers will be able to explore exhibits with innovative and cutting edge technologies including cleaning machines& equipment and spare parts, cleaning tools and supplies, sanitation vehicles and equipment, high pressure cleaning and car care equipment & tools (featured arena), cleaning agents, chemicals and disinfectants. The cleaning industry started a bit late in China compared to western countries, however, with the fast development of the society and economy as well as the living standard in China, the public has realized that it is a rising industry with massive potential. According to the statistics released by China Info 360, there are more than 200,000 cleaning engineering companies in China by the end of 2017, and over 10 million people ware working in cleaning industry now which makes the cleaning industry come out in front on the list of top 10 service industries in China. Along with this rapid growth, cleaning products in China have been transforming from basic and low-end specs to advanced and innovative ones. This momentum encouraged more participants from both home and abroad to come to CCE. Last year, over 450 exhibitors came from 17 countries and regions, including the US, Italy, Russia, Singapore, Malaysia, South Korea, Turkey and so on. As CCE2018 has received an unprecedented response from manufacturers and producers, the fair will use the newly expanded Hall N1, as well as part of Hall N2, both supported by the facilities of the SNIEC. CCE2018 drew over 21,100 visitors, creating an excellent and effective platform for presenting cleaning products, services and solutions, gaining vital feedback, and enhancing brand recognition.Specialized High Pressure Zone will be a new feature, hosting brand-name machines, equipment and associated products. 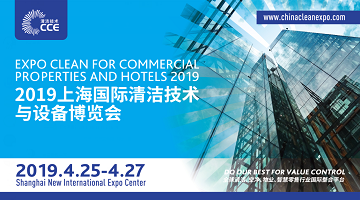 So far, brands and suppliers including Hako, Tennant, Fimap, Nilfisk-Advance, Farily, Matika, GP, Gadlee Green, Gausslan, Hefei Gaomei, ChaoBao, Chinaway, Heart & Home, IPC and some other famous brands have confirmed their participation for the 20th edition CCE. CCE2019 will feature various special events such as the most well-known CCE Awards, Exchange Conference on Application Solutions and a few Skills Contests. These will not only mix business with fun but also serve as a platform for attracting a maximum number of buyers either for product launches or building brand names. The 20th edition seems to be an epic event that worth looking forward to. 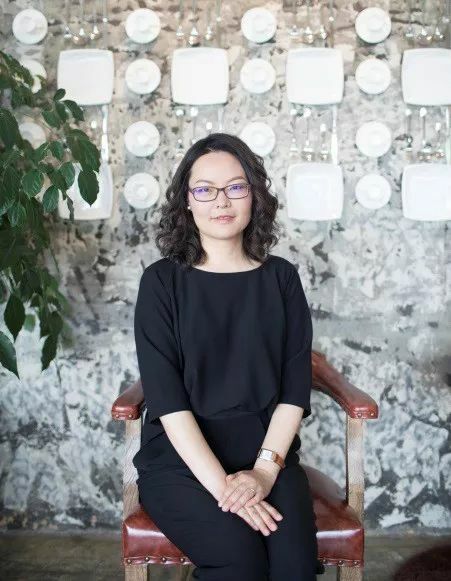 Ms. Helena Gao, Group Director of UBM Sinoexpo, said, "Cleaning service is the one of the first necessities of life. Despite the unprecedented development has been seen for a few years in a row already, cleaning industry still maintains good momentum in the Chinese mainland. We aim to encourage manufacturers and suppliers to take advantage of their innovative technologies, superior quality, as well as high safety standards, and to use the platform of CCE to seek global buyers, and attract Chinese mainland consumers." Running concurrently are three fairs within the 'Smart, Tech and Intelligence' framework - the Expo for International Indoor Air Purification (CIEQ), Expo International Facility Management (CFME) - as well as the 16th China International Self-service, Kiosk and Vending Show (CVS). Together the four fairs will provide a one-stop purchasing platform for all attendees. CCE2019 ticket holders have free admission to the other fairs during the entire show period - April 25 to 27, 2019 at SNIEC. UBM Sinoexpo organises over 60 market-leading B2B events every year across China. 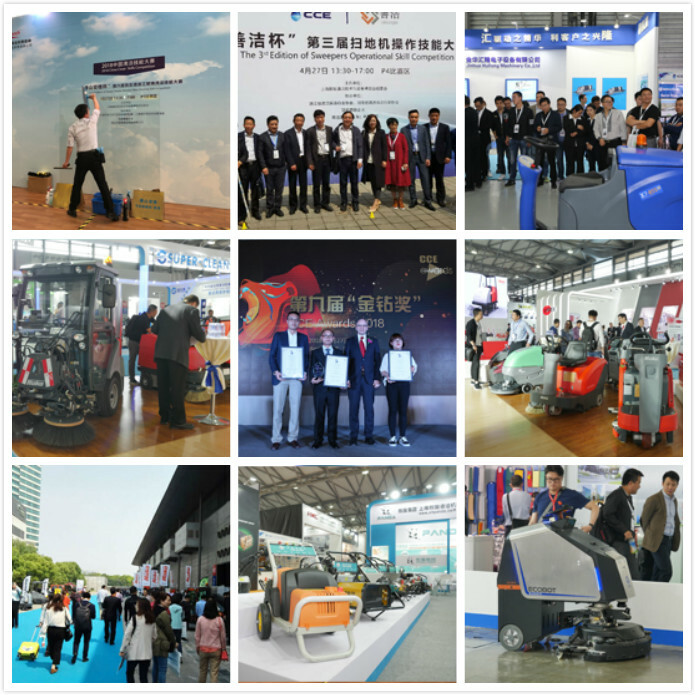 UBM Sinoexpo's events serve a tremendous variety of different industry sectors - from furniture to pharma to cleaning. In many of these industries, UBM Sinoexpo is one of, if not the, leading exhibitions organiser. Starting from June, 2019, UBM Sinoexpo along with its mother company UBM Asia has been acquired by Informa - a leading B2B information services group and the largest B2B Events organiser in the world. Register Now -- China Clean Expo 2019 Welcome your coming! CCE 2018 Perfectly Ends,The Cleaning Feast Never Ends!